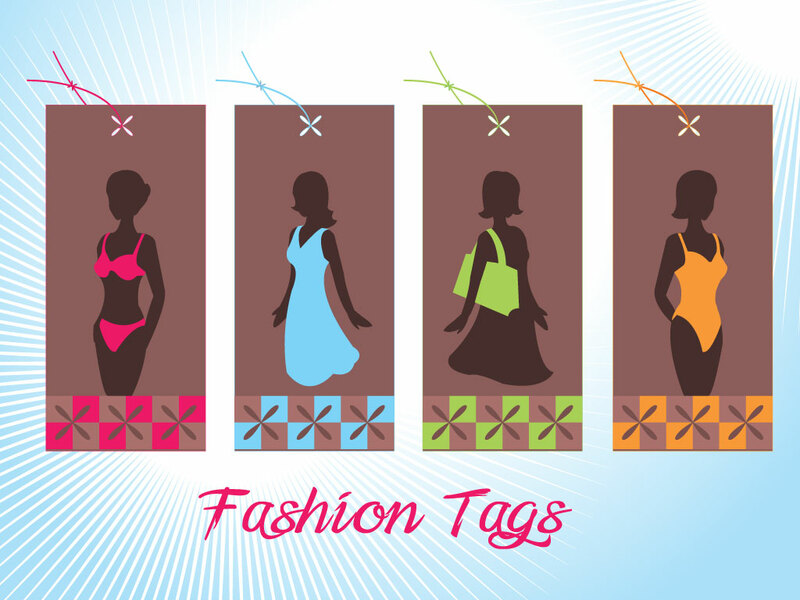 Four different vector labels to choose from in this fashionable tag set. A nice branding style color scheme with a brown background a solid bright colors on top. Download beautiful women silhouettes wearing bikini, summer dress, handbag and bathing suit for your lifestyle, fashion shop, accessories, consumer, shopping, promotion and advertising materials. Tags: Ads, Advertising, Apparel, Bikini, Bra, Cardboard, Fashion, Girls, Handbag, Label Vector, Lifestyle, Poster, Promotion, Retail, Shop, Shopping, Tag Vector, Tags, Women.